I can't believe it's New York Fashion Week again! Time flies-I knew it was coming, but after all the craziness of the last few weeks I feel slightly unprepared for it. I am blessed to be able to attend the shows my company designs jewelry for each runway season, along with other events and presentations, but I did use the blizzard as an excuse to spend my Friday night on my couch, having a date with my 3+ hours of TiVo that I didn't have time to watch this week (and giving my nails a fresh mani!). I kicked off NYFW with the Aquafina + Project Runway Pure Challenge on Wednesday night (they had glowing ice cubes in the cocktails, how cool is that?) 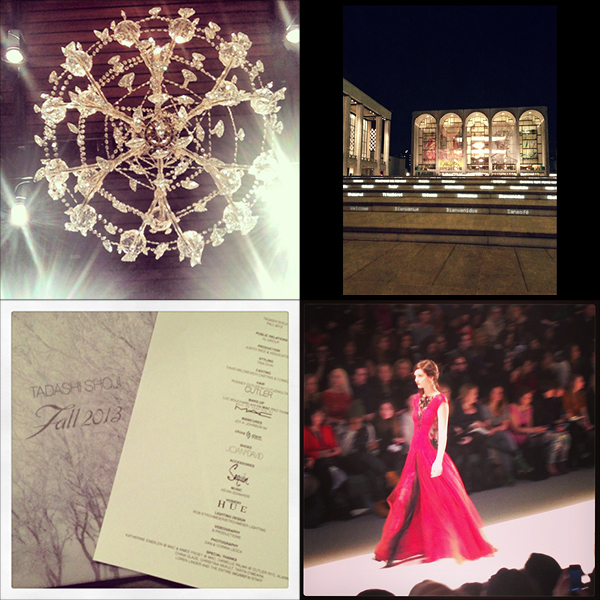 followed by the Tadashi Shoji and Houghton shows on Thursday. Nobody ever tells you how exhausting fashion week is until you're experiencing it yourself, dashing from one event to the next, trying to make sure you document everything (and, if you run a blog and do social media for your company, post about everything in as close to real time as possible!). Regardless, it is a ton of fun and I always look forward to the great people I get to meet and see. Happy weekend! Wish me luck trekking through the snow tundra that is NYC today. Thanks for taking my pictures Suzie! Thanks! I did-more recaps to come from a few other days, too :) it is probably one of my favorite coats, so worth the trip into the city I made just to get it! 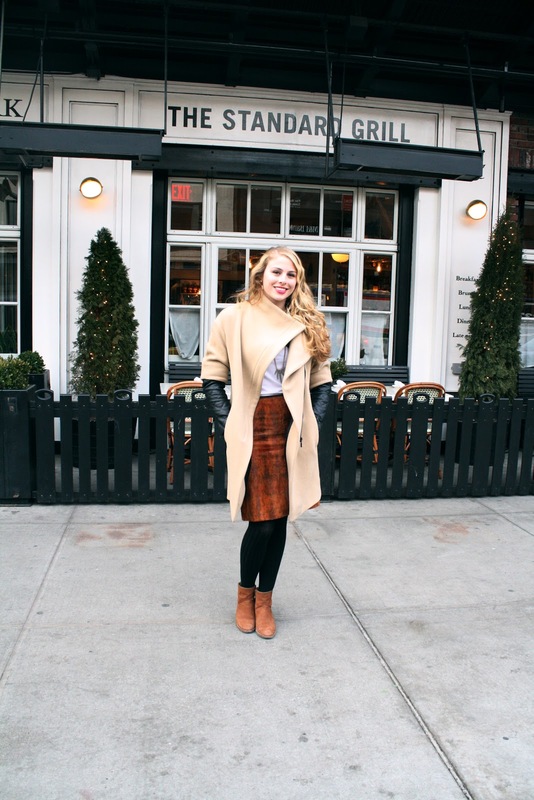 I may or may not steal that Zara coat off of your body. Consider this your warning..
Also, that skirt is SICK!